Today we visit a hospital, and not because somebody is ill, all the way around, just to check the good shape of the Catalan modernist and its building. Just some weeks ago, the city of Barcelona received good news: one of its most singular buildings, the Saint Paul Hospital, was about to open its doors after a very long renovations. 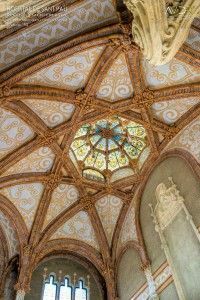 The major works have recovered the impressive rooms and decorations in a building which has been always connected to the health of the people from Barcelona. go back to the 15th century? 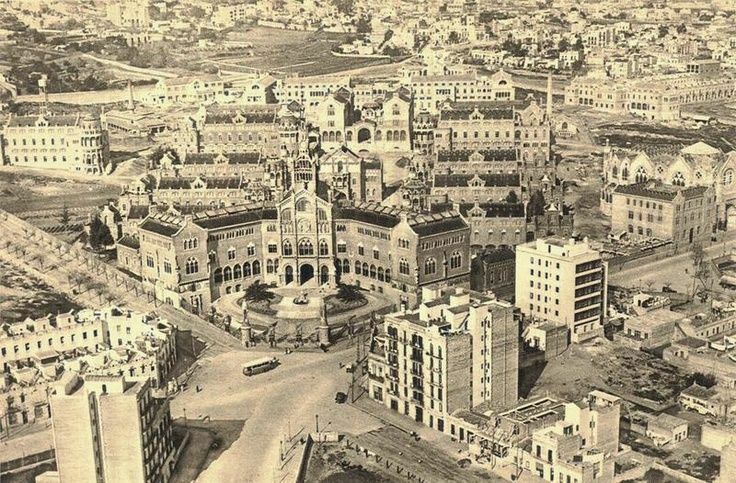 Back then, there were six hospitals in Barcelona but there were not enough to take care of all the population. A big and modern Hospital was built: the Hospital of the Holy Cross. This is a Gothic building still standing between the Hospital and the Carme Street, perpendicular to the Rambla. For more than 500 years this was the main hospital in the city, the place to give alms or when the orphans were taken care of. The Royal College of Surgery was born there and during the reign of Philip II some stage plays took place. Nobody could imagine today the building would be the Library of Catalonia. At the end of the 19th century a big decision was done: the city needed a new hospital. Design by Domènech I Montaner (1850-1923), the new hospital construction started in 1902. When Domènech died, his son, Pere Domènech i Roura took over the project. The hospital was inaugurated by Alfonso XIII. Its structure followed the medieval allegory to the cross, but the architect followed as well the hygienist rules: the buildings have big airy and light rooms, isolated but connected by a net of underground hallways. The architect did not forget to create very nice gardens to help people to get well. This magnificent building was classed in 1978 as a Historical and Artistic Monument in Barcelona and in 1997 it was classed a a UNESCO site. In 2006, several architects pointed at the need of a major renovation. After eighty years healing people, the hospital needed to be healed. The renovation started in 2009 and in 2014 the new Saint Paul Hospital has opened his doors letting everybody speechless! Step by step, all the visitors will discover the hidden gems in this building, which to me looks like a charmed castle, with its big main stairs at the beginning of the Gaudi’s Avenue, where in the other end, we find the Sagrada Familia. An amazing stroll.